With increasing polarization, how can Influencers get anything done? Political polarization seems to be the defining feature of 21st century politics in the United States. Republicans and Democrats are further apart ideologically than at any point in recent history, with each side viewing the other with increasing distrust, bias and hostility, according to the Pew Research Center. This can make improving education, transportation and infrastructure, gun safety, the environment and many other issues almost impossible. 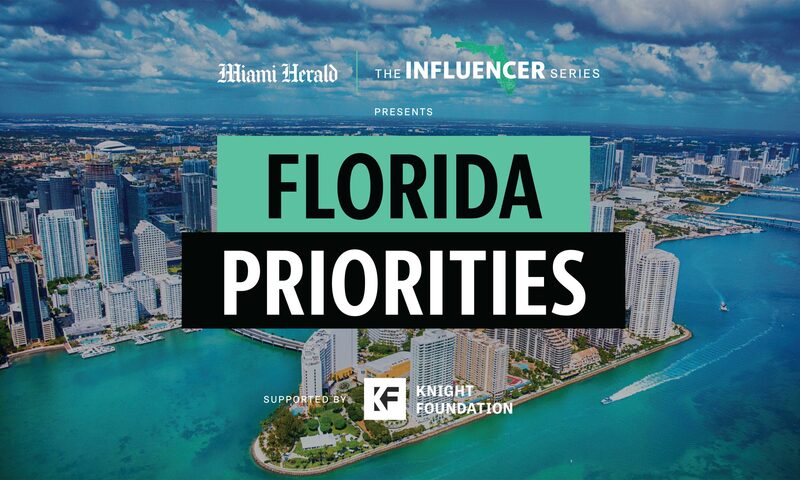 So how can some of Florida’s top leaders and decision-makers, who gathered at the University of Miami Wednesday to discuss and develop solutions to the most critical issues facing the state, solve those problems? Return power to local municipalities. 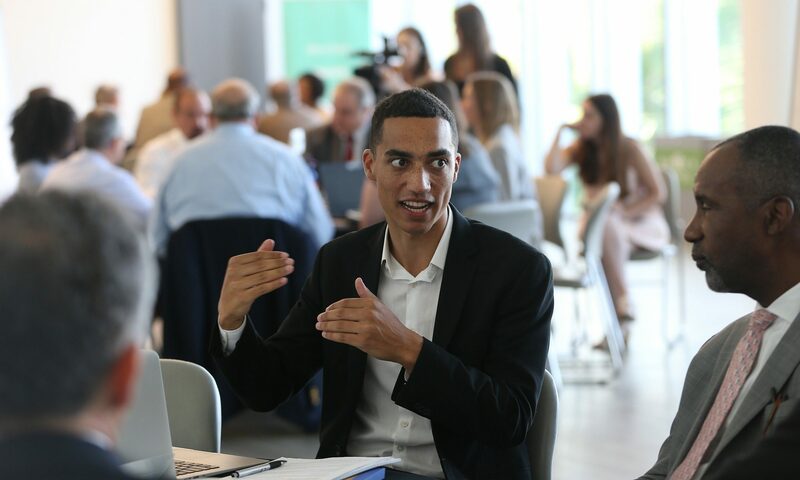 “At the local level, no one is going to opposed education, no one is going to opposed transportation,” said Chris Caines, the executive director of Miami Urban Future Initiative, a think tank at Florida International University. 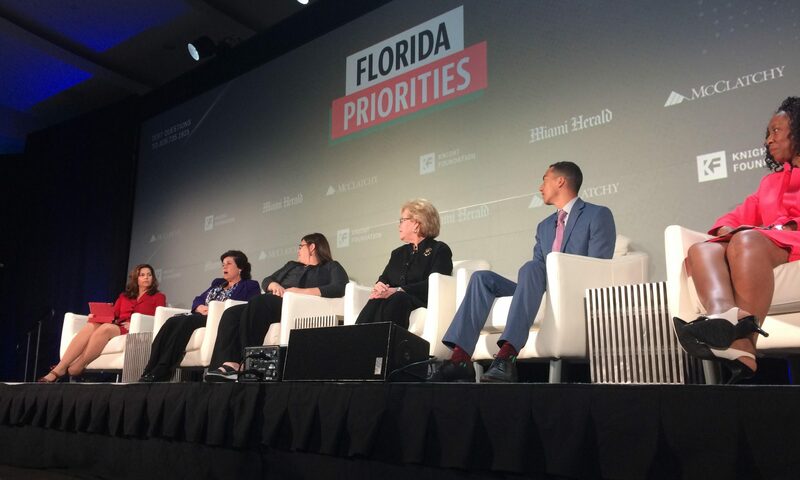 “Empowering local municipalities to make some of these decisions and then letting people decide what kind of communities they want to live in is a possible way to move forward,” said Caines, who was one of around a half-dozen different Influencer chairmen at the Florida Priorities Summit. The reason, Caines said, is that Americans trust local municipalities more than the federal and state government. Over the years, state lawmakers have passed preemption laws that make sure that cities and counties can’t prohibit things like smoking in music venues, patio dining areas or parks, or regulate Styrofoam or plastic straws. Local governments can’t raise the minimum wage, tweak worker benefits or prohibit gun control laws. Miami Beach tried, only to be blocked by a court ruling. Caines is optimistic that many of the solutions presented at the summit, particularly on infrastructure and the environment, can and should be handled at a local level. On education, for example, where Influencers said should be seen as an investment rather than an expense, funding provided through the lottery and local measures should add to the state’s education fund rather than supplant other sources of money. Victoria Kasdan, a longtime nurse and executive director of We Care Manatee, a health care nonprofit, said Influencers need to appeal to lawmakers as people, not as specialists or party members. Hillsborough and Broward counties have money to spend on transportation, but will it matter? The Sunshine State is growing, and Florida’s infrastructure and transportation networks need a growth spurt to keep up. Some counties, including Broward and Hillsborough, recently approved sales tax increases to unclog highways and improve public transportation. But for that to work, Floridians need to change the way they think about getting around. “You can have all of the funding in the world, but if you’re not going to change the way people think about buses or trains, you’re done,” said lawyer Carlos Garcia-Perez, one of six experts seeking solutions to Florida’s transportation challenges during the Florida Influencer Summit on Tuesday. Even as cities invest in massive expansions of rail and bus systems, choice and personal situations will always be a factor hindering most metro areas from expanding public transportation, said Michael Finney, the president and CEO of Miami Beacon Council, the economic development organization for Miami-Dade County. A major obstacle to improving urban travel is human behavior, according to a 2017 Conduent survey, which surveyed people in 23 cities around the world to better understand their habits, needs, perceptions and expectations of transportation. The report showed that cities need to provide a good reason why people should give up their cars. Otherwise, people will stick to what they know. But many areas in Florida, including Tampa Bay, public transportation is limited. In other American cities, public transportation helps connect the working poor to jobs, schools, shopping and health care. That social safety net barely exists in the Tampa Bay area. Out of the country’s 30 largest metro areas, the region ranks 29th in four of six common ways the federal government measures public transit coverage and usage, according to the Tampa Bay Times. The lack of efficient bus or rail service forces many of the working poor to devote huge chunks of time to getting back and forth to work, the Times found. So when public transportation is so poor, how do you encourage more riders? There is no magic way to convince people to use public transportation when it isn’t their only option, said Chris Caines, the executive director of the Miami Urban Future Initiative, a think tank at Florida International University. Before spending millions on massive transportation overhauls, Caines suggested transportation planners focus on micro changes such as improving buses and routes in heavily populated areas and ensuring that bus stops are sheltered or close to air conditioning.